Land management is the process of managing the use and development (in both urban and suburban settings) of land resources in a sustainable way. Land resources are used for a variety of purposes which interact and may compete with one another; therefore, it is desirable to plan and manage all uses in an integrated manner. The County owns over 7,000 acres that are either wetland mitigation sites or other green spaces like parks that need to be maintained for the public. 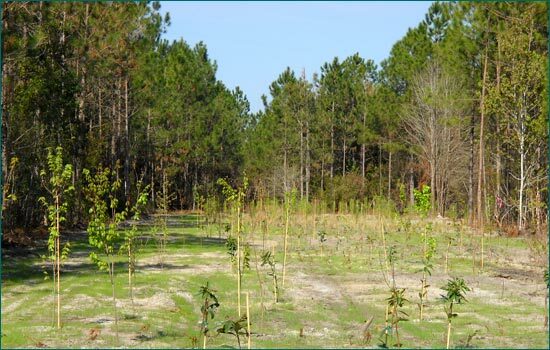 Two main components of active land management in St. Johns County include prescribed fire and invasive control. 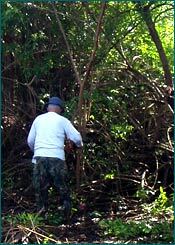 However, land management also includes the documentation of conservation easements, grant application and administration and collaborative efforts with other land management entities within St. Johns County, like the St. Johns River Water Management District, the Division of Forestry and the Guana-Tolomato-Matanzas National Estuarine Research Reserve.